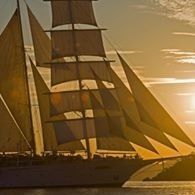 All Star Clippers tours, river cruises, expedition cruises, and adventure trips. Find the best guided trips and expert planned vacation and holiday packages. Average rating of 4.5 for all Star Clippers trips. Visit Malaga's fortress palace of the Alcazaba and the Castillo de Gibralfaro are splendid examples of Moorish architecture. Visit , the city’s naval, maritime and historical museums provide insight into the 2,000 years this city has been a major port.